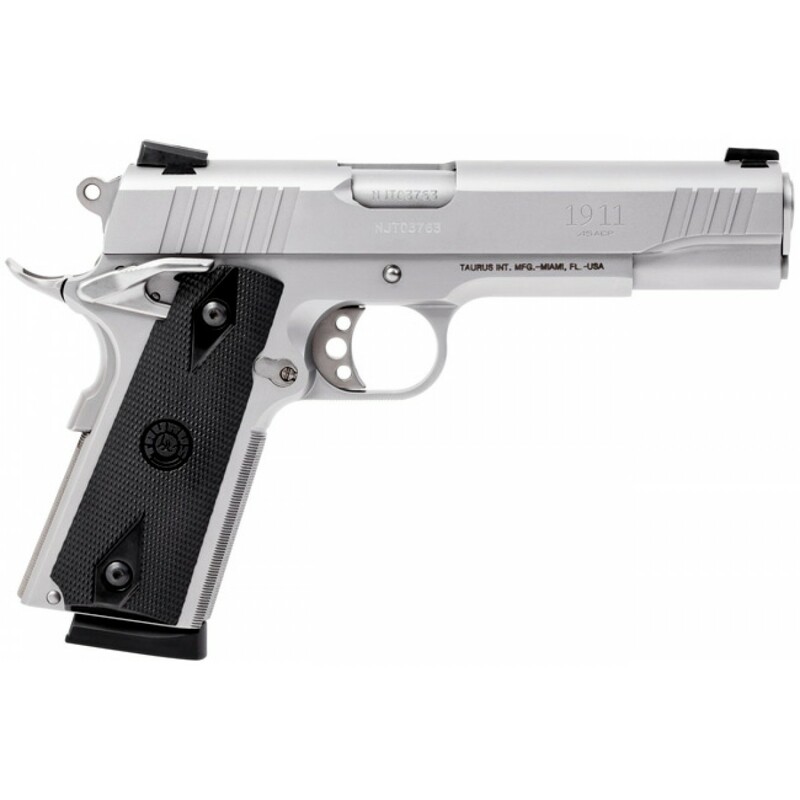 Designed to be the standard that all 1911 pistols are compared against, the Taurus 1911 line offers the most accurate and feature-laden models on the market today. Starting with hammer-forged (not cast) ordnance-grade steel frames, slides, and barrels, Taurus machines each part to tolerance levels that surpass even today's industry standards. Skilled Taurus pistolsmiths hand-fit and tune each gun with 19 standard features, using quality parts built 100% in the state-of-the-art Taurus factory. In the final step of the process, the slide, barrel, and frame are marked with matching serial numbers. The Taurus 1911 is an unbeatable gun that is also an unbeatable value. 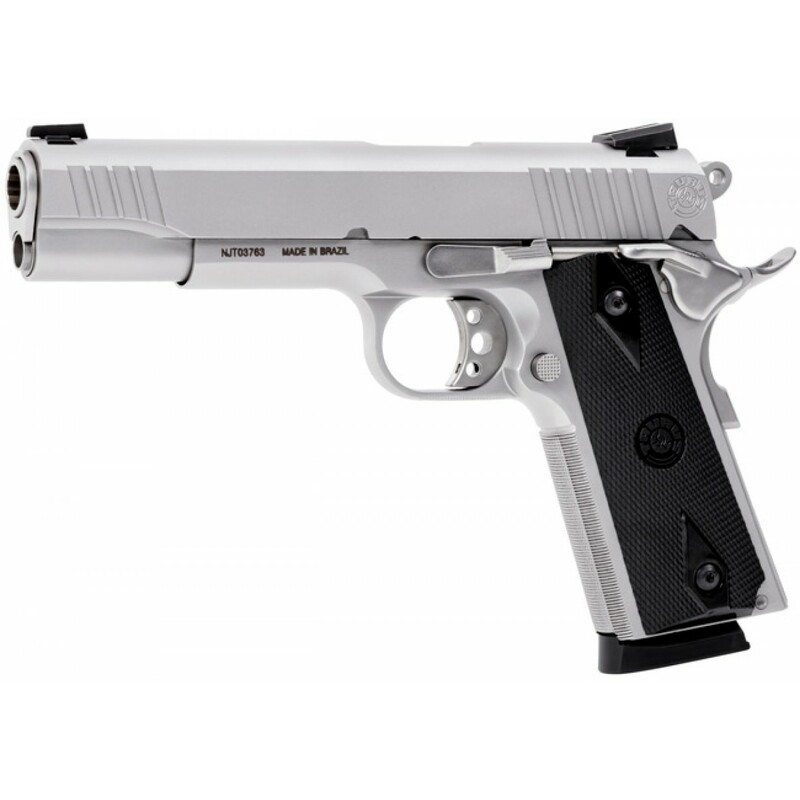 This model features a stainless steel metal finish and Novak sights. Barrel Length Range: 5.00" to 5.99"